Send the Father in your life for a real grooming experience. A cut, a hot towel shave, a massage, or how about a mani, a pedi or a facial. The grooming experience is also accompanied by free wifi, a shot of expresso or a whiskey, the sports match of the day playing in the background, plus an optional shoe shine. 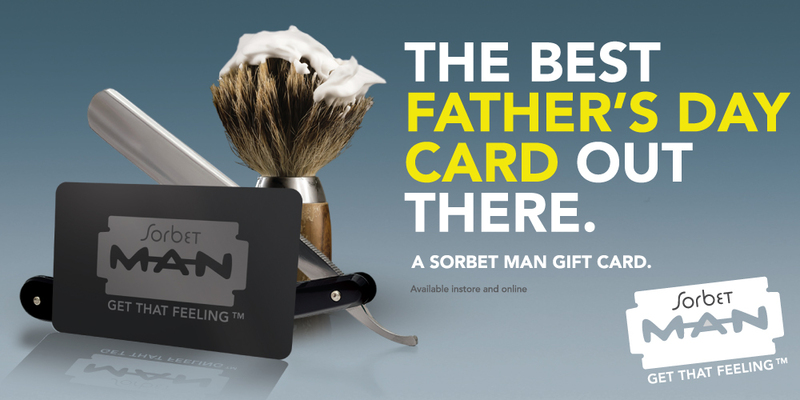 There are five Sorbet Man stores in the country, four located in Johannesburg namely: the Mall of Africa; Sandton City; Rosebank Mall; Village View, Bedfordview and one in Cape Quarter in Cape Town. It is the guaranteed perfect present this Father’s Day. We promise.